Thrillster (centre) will continue a path to the Thousand Guineas when she races at Moonee Valley. After an encouraging season return in the Quezette Stakes, talented filly Thrillster will be out to further enhance her Thousand Guineas credentials in the Listed Atlantic Jewel Stakes at Moonee Valley. Thrillster was third to Sunlight in the Group Three Quezette (1100m) first-up at Caulfield on August 18. 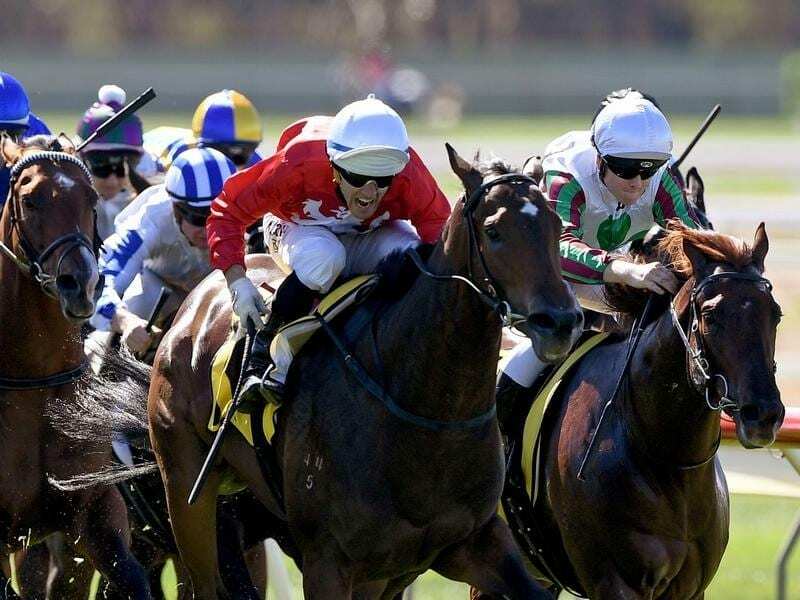 It was a performance that gave co-trainer Troy Corstens further encouragement the filly had come back well enough to target the Group One Thousand Guineas (1600m) next month. “She drew off the track, sat back and wide and covered a lot of ground,” Corstens said. “She really attacked the line. It was a terrific run and the best part was she came out of it so well. Chasing a first stakes win in Saturday’s Atlantic Jewel (1200m), Thrillster has come up with an inside draw in barrier three in a field of 14 plus two emergencies. Thrillster finished equal second in a Listed race at the Valley on debut as a two-year-old in March before winning her two other starts as a juvenile in races restricted to VOBIS Gold-nominated horses. The filly got re-acquainted with the Valley track on Tuesday morning with a pleasing gallop over 1000m, working in company. “It was a really good gallop and she went over the line with plenty up her sleeve,” Corstens said.